Post-Listing Update: This Suitcase Cycle did not meet reserve with just one bid up to $1,500 on eBay. 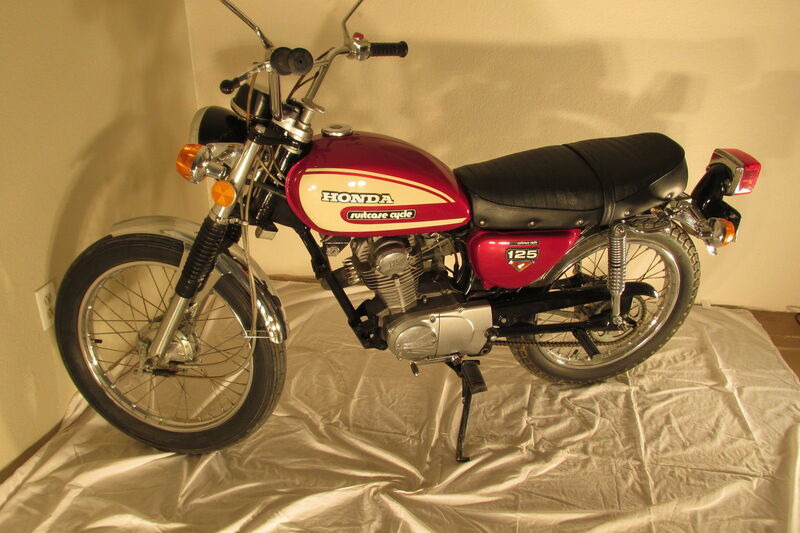 The 1974 Honda CL125 was a one-cylinder scrambler that with a 122cc piston that weighed just 196 pounds. What makes this specific example so special is that it has been converted by a third party company to fit into a suitcase for easy transport on airplanes! For more information on Suitcase Cycle, check out this link from Check-Six, an aviation history site. 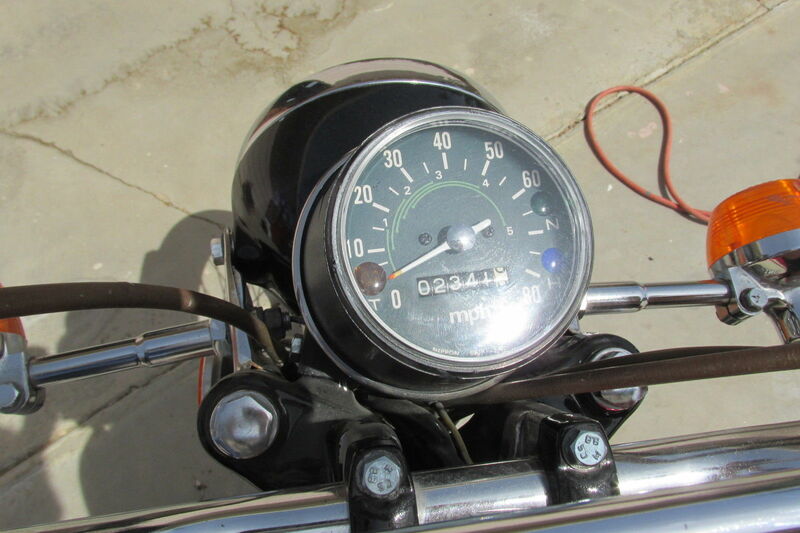 I highly recommend you check out this page, which shows a few photos of a bike being loaded into a Cessna 172. 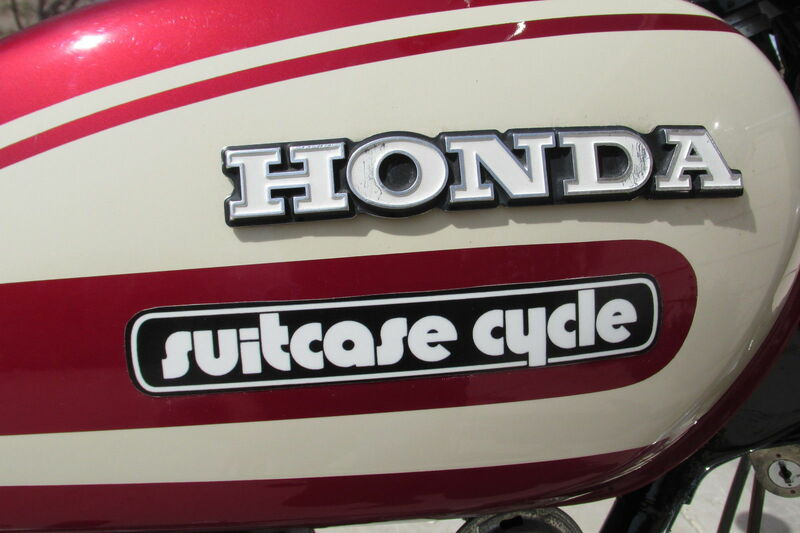 This specific Honda CL125 Suitcase Cycle (VIN: CL125S1105203) has covered just 2,342 miles over its 40 year life. 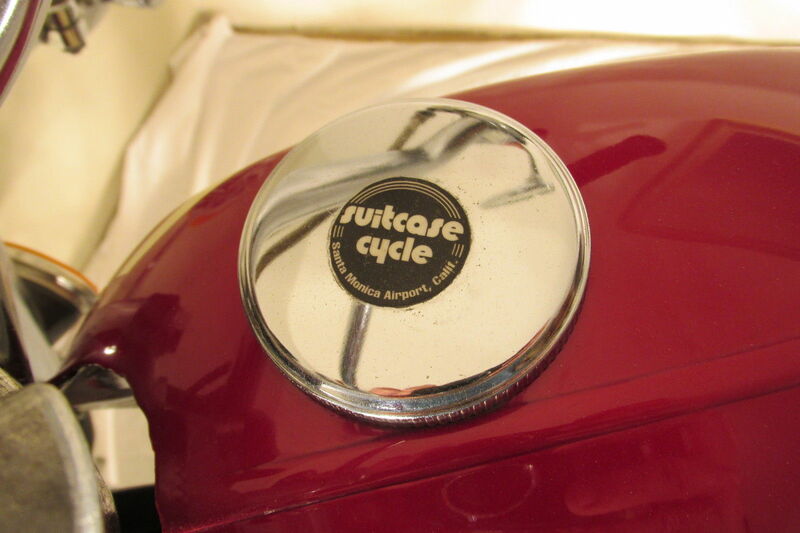 It’s been garaged and covered its whole life, and I adore all the “Suitcase Cycle” branding all over the place.